The longlist for the 2015 Etisalat Prize for Literature, which “rewards and recognizes debut fiction writers in Africa”, was announced today. Masande Ntshanga was awarded 2013 PEN International New Voices Award and was shortlisted for 2015 Caine Prize for his story “Space”. The Fisherman needs no introduction, at least no this year. Man Booker finalist; winner FT/Oppenheimer Awards and others. Plus its on many “Best of” lists. Six South Africans, 2 Nigerians and 1 Congolese – Only 3 African countries? What is happening? One translated fiction (Tram 83) – I think this is a first. We need more, far more. This year again, I note the absence of entries from North Africa. This is the 3rd edition of the prize and we’ve never seen a North African book on the longlist. I can’t understand this at all. An Etisalat publicity caravan (or something) had better visit North African countries. I haven’t read any of the books yet. I’ve been wanting to read Tram 83 but I have to get my hands on a copy first. There’s so much buzz (well-deserved, I hear) about this book. Several on the longlist sound intriguing. I’m now reading through the 2014 Etisalat longlist (things are slow at biblothèque Kinna) and I’m scratching my head at how one of my favs didn’t make the 2014 shortlist. The Etisalat judges keep mixing it up. I’m looking forward to how they handle this longlist! The 2015 shortlist will be announced in December 2015. The full press release from Etisalat is here. Previous I’m startled by this image …. Thanks for the statistical break down. Who is your favorite who didn’t make the 2014 shortlist? Ha! I think I’ll do a post on the 2014. But I’m reading Kintu and loving it. Plus, Ghana Must Go is a really good book. Ive been trying to get books from other parts of Africa but they are not easily available in English so it doesn’t surprise me to find only 3 countries on the list. Disappointing though. Yep but I think I’ll talk to the Eitisalat folks (I’m in Nigeria now). Might be good for them to give some details on the submissions. If you come across any bloggers from Africa would you ask if they are interested in doing a guest post for me?? I am almost finished “The Fishermen” by Chigozie Obioma, but I have to admit that I haven’t even heard of any of the rest – more my deficiency though! I’m yet to start any. Will you share your thoughts on The Fisherman after you’re done? I read The Reactive this summer while in South Africa. It is a deceptively complex novel told with a blend of harsh realism and a magical realism. Ntshanga is a young writer who shows great promise. His novel will be published in the US in 2016 which is great news. It’s odd that South Africa dominates this list and yet most of these books don’t get release outside of that small and expensive market… not that writers generally get rich anywhere but a wider distribution never hurts. I also bought ZP Dala’s book just before I left the country, having heard about the violent attack on her at the Durban Book fair and to have a female Indian South African writer in my collection. Yeah, I saw good stuff about The Reactive when I was putting together the post. Can’t wait to read it. 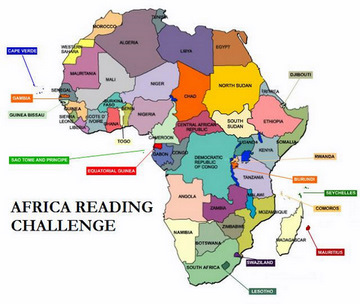 Getting the books outside of SA, especially in another African country is such a hassle. Happy reading!